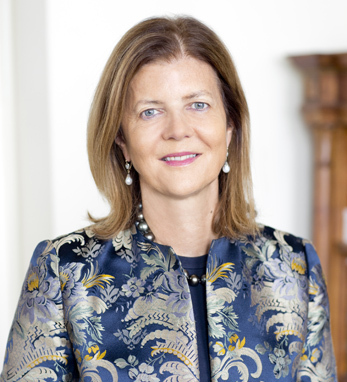 Dr. Mary E. D’Alton is chair of the Department of Obstetrics and Gynecology and the Willard C. Rappleye Professor of Obstetrics and Gynecology at Columbia University Medical Center. She also serves as director of services at the Sloane Hospital for Women at New York-Presbyterian. Mary specializes in maternal fetal medicine, focusing on high-risk pregnancies. Honored with a lifetime achievement award in 2006 by the Society for Maternal Fetal Medicine, Mary has served as its president and held key positions in other organizations, including the American Congress of Obstetricians and Gynecologists’ Neonatal Encephalopathy and Cerebral Palsy Task Force and the American Gynecological and Obstetrical Society. She is co-chair of the Safe Motherhood Initiative, which works to reduce maternal mortality and morbidity in New York State, and co- editor of Seminars in Perinatology. Mary, who grew up in County Mayo, had a father who was both a doctor and a member of the last-winning Mayo All-Ireland football team in 1951. “It was watching my father with his patients that I believe has most influenced me in my own practice here in New York,” she says. Despite having left Ireland over 30 years ago, Mary continues to travel home often to visit family.